Turn key coffee business prefect for owner operator. 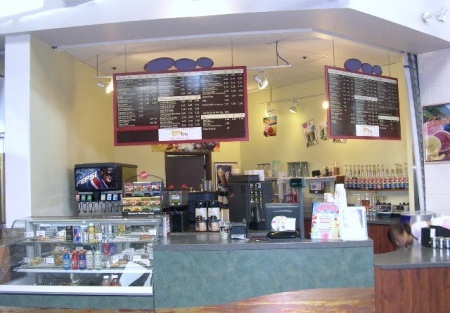 It is located in major mall with plenty of parking and a lot of foot traffic. There is Japanese food, Hamburger and a Sandwich store in the center. There is also a food court where customers could enjoy their meals. This coffee house is fully equipped with granite counter top. There is 1 year left on the lease plus a 5 year option. The base rent is $1,720 per month plus CAM. Seller owns other businesses and can't find the time to manage this one. He must sell immediately!This is a Paramount Restaurant Brokers, Inc. DBA SellingRestaurants.com listing. Together with Other Well Known Restaurant in the Mall. Plenty of Foot Traffic and Parking Spaces. Excellent for Owner Operates Turn Key Business. Base Rent is $1720 a Month Plus CAM. Seller Does Not has Times to Manage.